National Parks PDF. Wildlife Sanctuaries in India PDF. Important National Parks and Wildlife Sanctuaries in India. Welcome to the www.letsstudytogether.co online learning section. National Parks is a very important topic for Bank and other competitive exams. 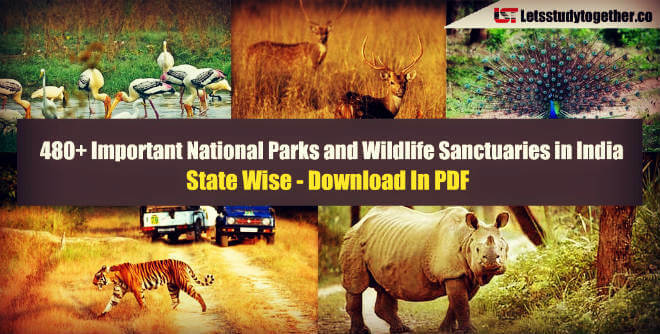 You will find one or two questions based on this topic in every exam.Today we are providing you a 480+ state wise complete List of Important National Parks and Wildlife Sanctuaries in India in PDF format. 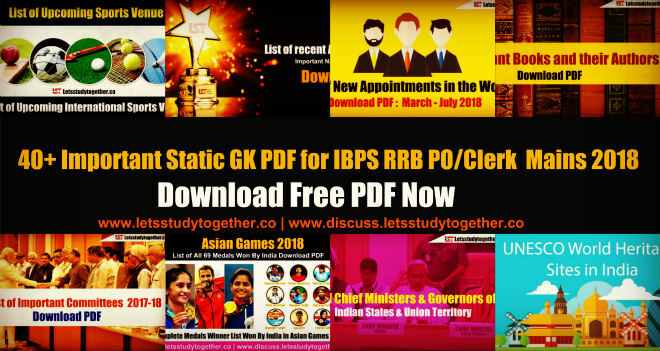 This “Important National Parks and Wildlife Sanctuaries in India “ is very important for Upcoming Dena Bank, SBI Po/Clerk, IBPS & RRB , SSC and other competitive exams.